NEW ORLEANS — Once again, The Bowerman Award finalists will be revealed via live webcasts produced by the U.S. Track & Field and Cross Country Coaches Association (USTFCCCA). 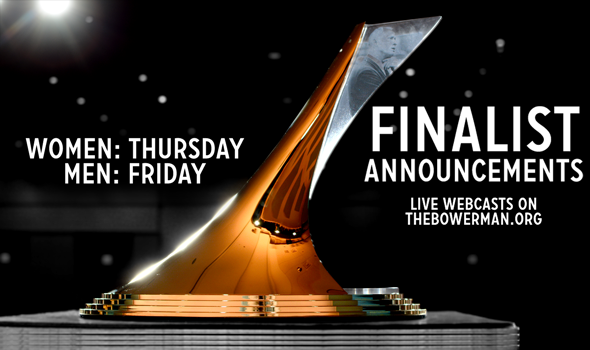 The webcast to unveil the women’s finalists for The Bowerman Award will be Thursday, June 23 at 3 p.m. ET and aired live on TheBowerman.org. The following afternoon, the men’s finalists will be released at 2 p.m. ET via the same medium. Here are the 10 semifinalists from each gender that will soon be whittled down to three apiece. The Bowerman Award winners will be announced in December at the 2016 USTFCCCA Convention in Orlando, Florida at the JW Marriott Orlando Grande Lakes Resort and Spa. For all news and updates about The Bowerman Award, be sure to follow @thebowerman on Twitter.